His Excellency the UQU President, Prof. Abdullah bin Omar Bafail, has received His Excellency the Ambassador of the Republic of Benin to the Kingdom, Fadilou Moutaïrou, and the Head of the Commercial Mission of Benin in Riyadh, Dr. Thany Abdul-Hamid Ilahu. The meeting was attended by the Vice Dean of the Institute of Arabic Language for Non-Native Speakers, Dr. Maymun Ahmad Al-Salamy, and was held at the UQU President's Office in Al-Abdiyyah. 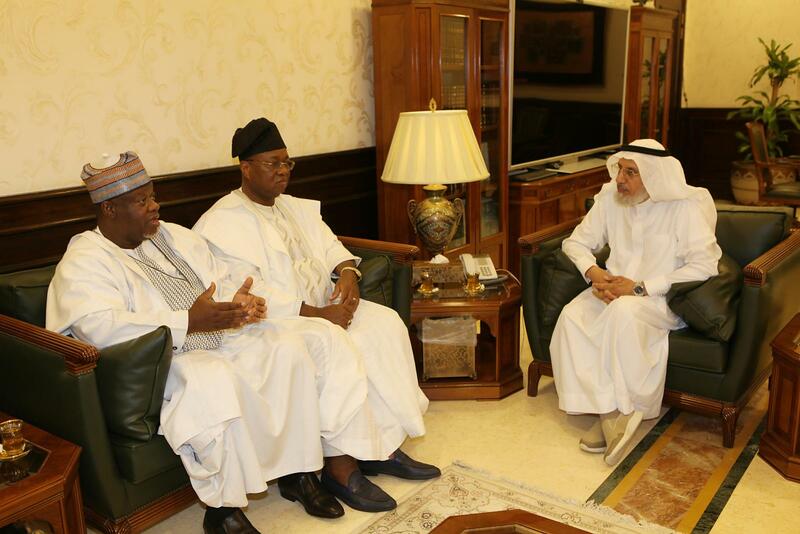 At the beginning of the meeting, His Excellency the UQU President welcomed His Excellency the Ambassador of the Republic of Benin, and the Head of the Commercial Mission of Benin in Riyadh to the Kingdom. He also praised the support given by the wise leadership (may Allah safeguard it) to the educational programs offered by the university, which has contributed to the availability of university education in different sciences to the people of this country. In addition, educational opportunities are provided to the people of the Islamic nation who enroll in the university through the programs of the Institute of Arabic Language for Non-Native Speakers, and the colleges of Shari`ah and Arabic Language. He wished them much success and progress. His Excellency clarified that the university provides assistance through scholarship programs, which receive support and attention from the Custodian of the Two Holy Mosques, King Salman bin Abdul-Aziz Al Saud, as well as His Royal Highness the Crown Prince, Muhammad bin Salman bin Abdul-Aziz, the Deputy Prime Minister, and the Minister of Defense (may Allah safeguard them) in the fields of Arabic language and literature, and Shari`ah. They aim to serve the people of the Islamic nation and teach them the principles of moderate Islamic education to enable them to become ambassadors and scholars in their countries. 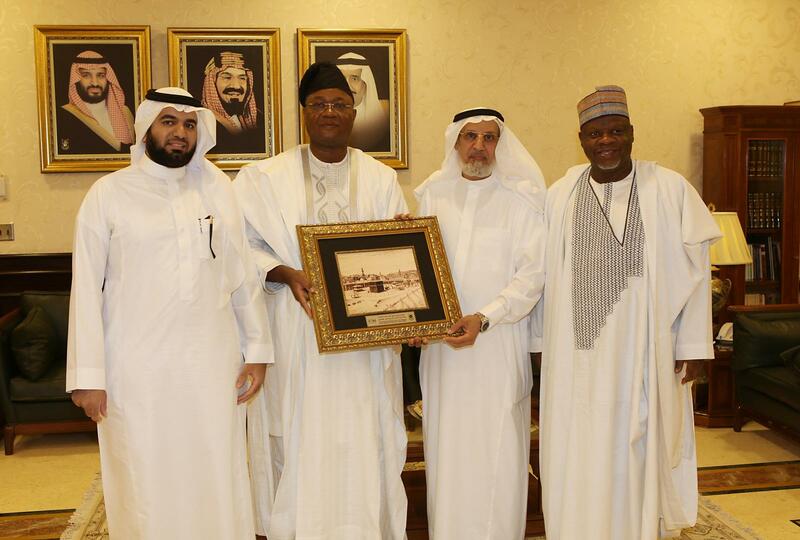 For his part, His Excellency the Ambassador of Benin to the Kingdom, Fadilou Moutaïrou, praised the efforts exerted by the government of the Custodian of the Two Holy Mosques (may Allah support it) to serve the people of the Islamic nation through the humanitarian work and educational opportunities it provides. In addition, he pointed out that more than 300 students from the Republic of Benin are receiving an education in Saudi universities. He then thanked and expressed appreciation to His Excellency the UQU President, Prof. Abdullah, for his warm reception.